Discover the architectural riches of Riga, where Gothic churches meet Art Nouveau civic design. Discover the great centres of art and architecture in Poland, and explore the storied Baltic capitals of Latvia, Estonia and Finland. 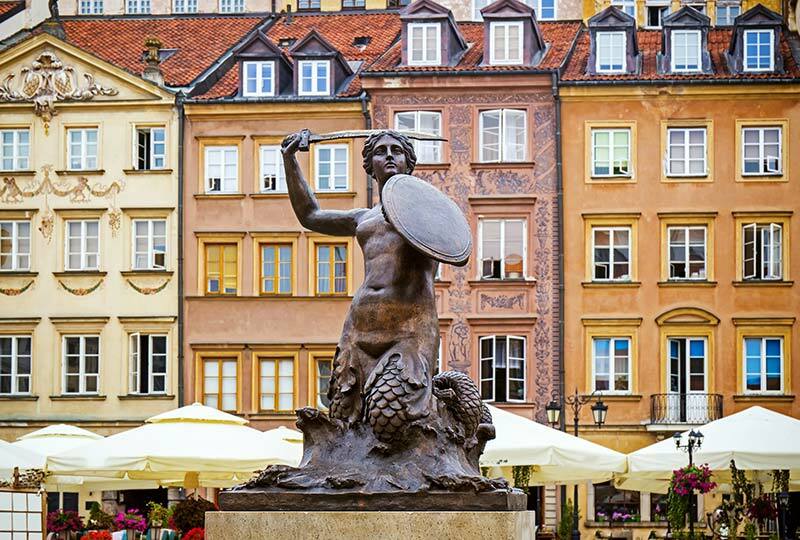 Indulge in the cultural riches of the Polish capital of Warsaw, exploring its historic palaces and museums, and its tradition of fine Classical music. In Krakow, visit the former home of eminent Polish artist Jan Matejko and see Da Vinci’s delicate masterpiece Lady with an Ermine. Continue to Riga in Latvia, where a surprising gem of Art Nouveau architecture awaits, and onwards to Tallinn, capital of Estonia, one of the most complete and impressive Mediaeval city centres in the world. Then cross the gulf to Finland for visits to Turku, the former capital and the world-class museums of Helsinki. 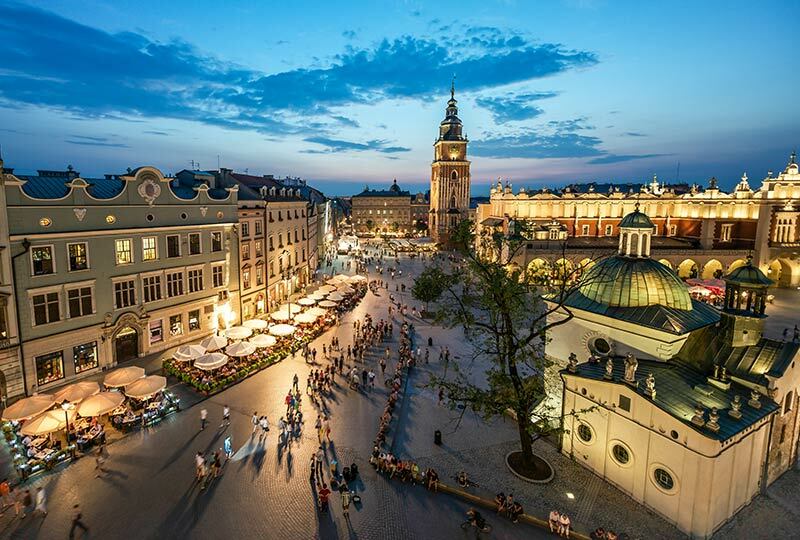 Depart Australia or New Zealand on suggested Qatar Airways flights to Krakow via Doha and Warsaw. Renaissance Tours or your travel agent can assist you with your flights and other travel arrangements. Arrive in Krakow in the morning and transfer to the hotel (transfer included in tour price). Check in to the hotel, followed by a welcome briefing by Rosamund. Then, acquaint yourself with the old town of Krakow with a walking tour of the old town, visiting the 13th century Market Square, including its Renaissance-style Cloth Hall, the Gothic Town Hall Tower, the imposing Church of St Mary and the Barbican (fortified gatehouse) which remains from Krakow’s Mediaeval walls. In the evening, enjoy a special welcome dinner with Rosamund and fellow travellers. Begin the day with a talk by Rosamund, followed by a visit to Wawel Royal Castle and Cathedral to admire the impressive forecourt and ornate interior complete with tapestries. 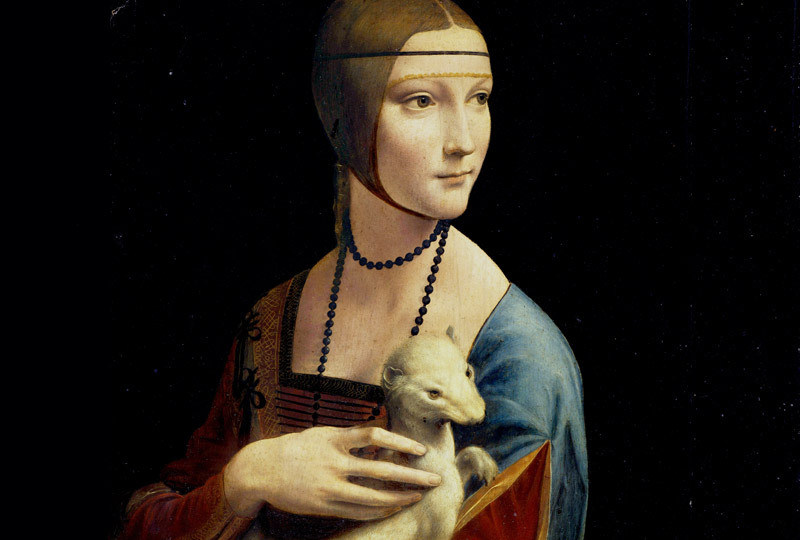 Following lunch at a local restaurant, travel to the National Museum, the current home of Leonardo da Vinci’s 1489-1490 masterpiece Lady with an Ermine, identified by art critics as the world’s first modern-age portrait. Return to the hotel for an afternoon and evening at leisure. This morning, visit the museum house of painter and decorative artist Jozef Mehoffer, and look around the rooms where many of the artists of the ‘Young Poland’ movement gathered to meet. Then, enjoy a guided tour at the Jan Matejko House, where works from across the different artistic phases of Poland’s most celebrated historical painter are displayed in the home where he was born, lived and died. After lunch, visit Kazimierz, the former Jewish Quarter of Krakow. Kazimierz was founded in 1335 by King Casimir III the Great, one of the tolerant Mediaeval rulers who established Poland as a land of relative freedom for Jews, and the district became a centre of Jewish religion, scholarship and culture. Wander at your own pace through Kazimierz’s Old Synagogue, Town Hall and Jewish Museum. Check out of the hotel and travel north through the Polish countryside. Following lunch, continue to Warsaw, capital city of Poland and the heart of the Polish culture and economy since the city’s rapid rise in the 18th century. Check in to the hotel in the afternoon, followed by dinner at a local restaurant. Enjoy a morning talk by Rosamund, and then set out on a walking tour of the old town of Warsaw. Visit the 15th century Gothic Cathedral of St John, walk through Market Square, and pass the fortified towers of the Barbican. At the New Town Market, see the house where Marie Curie (nee Maria Sklodowska) was born and the monument to the 1944 Warsaw Uprising by the Polish Resistance against Nazi occupation. After lunch, visit the superbly rebuilt 17th century Baroque Royal Castle, a highlight of which is the Gallery of Paintings, Sculpture and Decorative Arts and the outstanding Lanckonronski Collection, including two masterpieces by Rembrandt. Begin the day with a visit to the 17th century Church of the Holy Cross and its memorial to Poland’s greatest composer, Frederic Chopin. See the monument to Renaissance astronomer Nicolaus Copernicus (a.k.a. Mikolaj Kopernik), author of the heliocentric model of the universe, then travel to the Warsaw National Museum, one of the oldest museums of Poland. Explore the museum’s extensive collection of works, ranging from Polish Medieval art to Old Masters paintings and Polish artwork from the 16th to the 21st century, including the epic Battle of Grunwald by Matejko. Enjoy lunch at a local restaurant, and then continue to Lazienki Palace, an elegant Classical palace on the shores of a peaceful lake, surrounded by a city park. This morning, explore the city of Warsaw at your own pace, with a suggestion to visit the Warsaw Uprising Museum or the Warsaw History Museum. In the afternoon, visit POLIN Jewish Museum, an extraordinary and powerful monument to a millennium of Jewish culture in Poland leading up to – and surviving – the Second World War. POLIN sits on the site of the former Warsaw Ghetto, and was opened to great international acclaim in 2013. Return to the hotel in the afternoon. Dinner tonight is in a local restaurant. Check out of the hotel and transfer to Warsaw Airport for a mid-morning flight to Riga in Latvia (flight in Economy Class included in tour price). Begin your acquaintance with Riga, a city of Gothic churches and Art Nouveau civic architecture, with an afternoon talk by Rosamund, and then set out on foot for a tour of Riga’s compact old town. Visit Riga Castle, an elegant fortification begun in the 14th century and now home to the President of Latvia as well as several museums. See the distinctive Dome Cathedral (whose name derives not from its roof, but from the German Dom, meaning ‘cathedral’), the Large Guild and the Small Guild, a pair of 19th century buildings in the English Gothic style, and the cylindrical Powder Tower, originally part of Riga’s defensive walls. In the morning, visit the Art Nouveau area of Riga, one of the finest concentrations of Art Nouveau buildings in Europe. Enjoy a guided tour of the Jugendstil museum, originally designed by Latvian architect Konstantins Peksens as his personal residence, where the internal Art Nouveau spiral staircase is considered among the most impressive in Latvia. 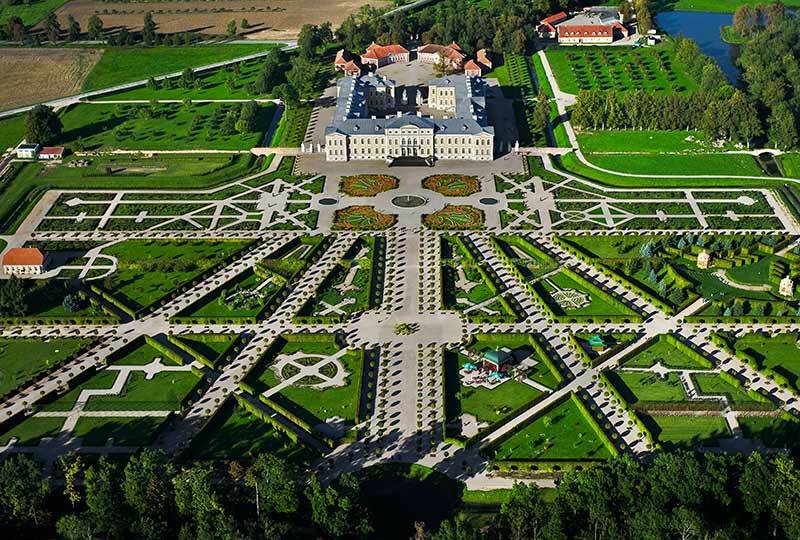 Travel outside Riga for a visit to Rundale Palace, one of Latvia’s most outstanding monuments of Baroque and Rococo art. The palace and its adjacent French-style park were designed by famous Italian architect Francesco Bartolomeo Rastrelli in the mid-18th century. Enjoy lunch at a restaurant near the palace and then return to Riga in the late afternoon. Today check out of the hotel and enjoy a full-day tour of the scenic region known as the ‘Baltic Switzerland’ on our way to Tartu. In the morning, visit Sigulda Castle located in the Gauja National Park, once a mediaeval stronghold for the Livonian Order. Explore the castle ruins at Turaida, and then after lunch continue to Cesis Castle, to view its evocative ruins. Cesis Castle was once the residence of the Master of the Livonian Order but was captured by the Swedes in 1620 and then suffered significant damage in 1703 during the Great Northern War between Russia and Sweden. Arrive Tartu in the early evening. Start today with a tour of Tartu, considered to be the intellectual capital of Estonia. On arrival you will be welcomed by the “statue of the kissing students” in the large classical town square and admire the neoclassical architecture of the university in Estonia’s oldest city. 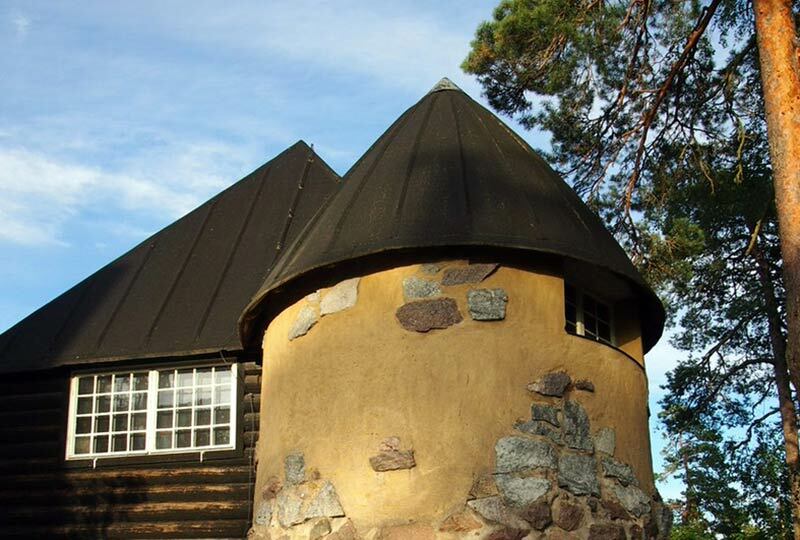 Enjoy some time at leisure for lunch, before travelling to Lake Pepius to visit the village of the “Old Believers”- religious refugees who in 17th Century opposed the official teachings of the Russian Orthodox Church and settled in Estonia. Return to Tartu in the late afternoon at leisure. Check out of the hotel in the morning and pay a visit to the National Museum before departing for Tallinn. 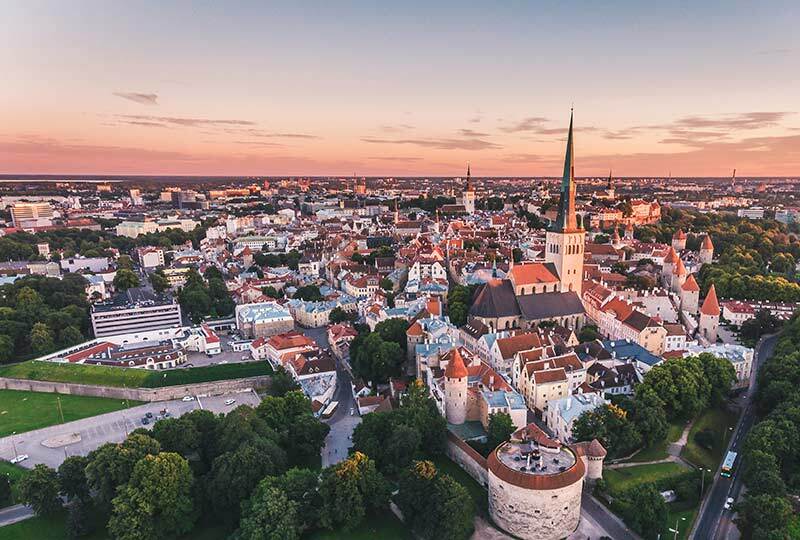 Enjoy a leisurely afternoon’s drive northwards through the countryside to Tallinn, which claims to have the best-preserved Mediaeval town centre in Northern Europe. Following check-in, enjoy dinner at a local restaurant. The remainder of the day is at leisure to stroll through the streets and laneways of Tallinn and further immerse yourself in its stone-walled, terra cotta-roofed charm. 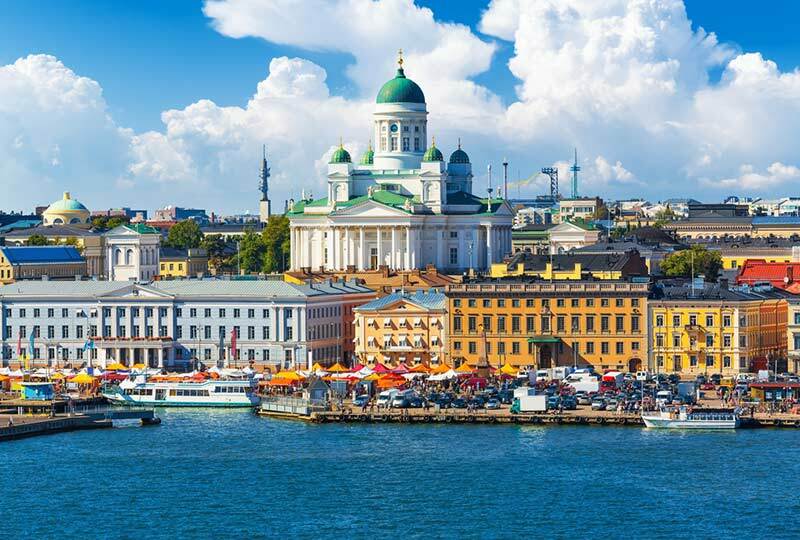 Check out of the hotel in the morning and transfer to the wharf for a ferry trip across the Gulf of Finland to Helsinki (ferry trip included in tour price). The two-hour ride across the gulf offers views across the Baltic, and grey seals may sometimes be seen lolling in the waves near the shores. It was through this gulf that hardy Norsemen reached the lands of present-day Russia, and then rowed along the rivers to found a principality down in Kiev and establish trade routes all the way to Constantinople. 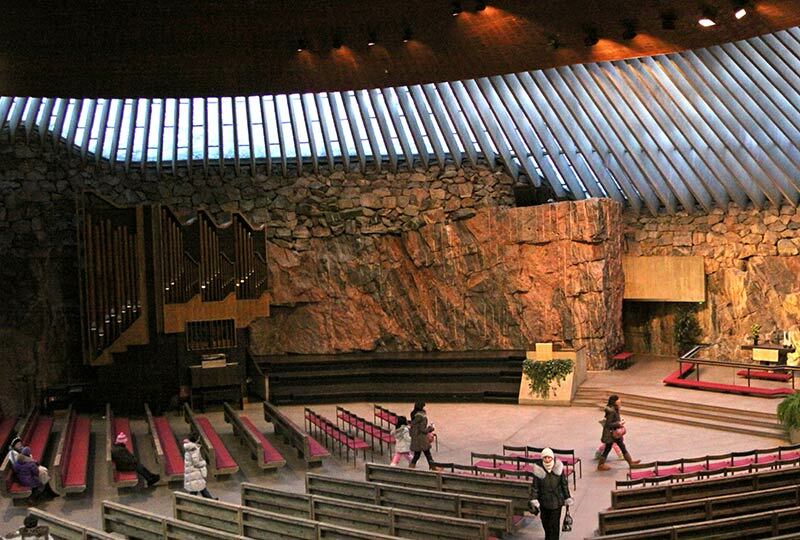 On arrival in Helsinki, enjoy a coach tour of the city’s main sights, including Senate Square and the Presidential Palace, as well as the famous ‘Rock Church’ built within a hill of solid rock by brothers Timo and Tuomo Suomalainen in the 1960s, with daylight providing gentle illumination through windows to the outside. This morning enjoy a private tour of the Ateneum Art Museum. A gallery of Finnish art, the museum is home to the country’s oldest and largest art collection. In the afternoon, we travel to Hvittrask, the former studio home of architects Eliel Saarinen, Armas Lindgren and Herman Gesellius. The main building, designed by Saarinen between 1901 and 1903, is split between seven levels, with its Romantic style complemented by the use of natural stone and logs. Today, the home is a museum, set amongst an English-style garden by the shores of Lake Vittrask. Venture outside of Helsinki today to Turku, the former capital of Finland. Upon arrival in Turku we will visit Medieval Turku Castle and the Lutheran Cathedral of the Mother Church of Finland, which is located in the heart of the city next to the main square. We Finish our sightseeing with a tour of the outdoor Handicrafts museum, which is comprised of 18 blocks of 18th Century housing, the only area of the city to escape the ‘Great Fire of Turku’ in 1827. Enjoy a special farewell lunch with Rosamund and fellow travellers, before returning to Helsinki in the afternoon. For those returning home today, suggested flights to Australia or New Zealand are with Qatar Airways via Doha, departing in the evening (late check-out included in tour price). Renaissance Tours or your travel agent can assist you with your flights and other travel arrangements, including any additional accommodation, either before or after the tour. Australian and New Zealand passport holders do not require visas to visit Poland, Latvia, Estonia or Finland.